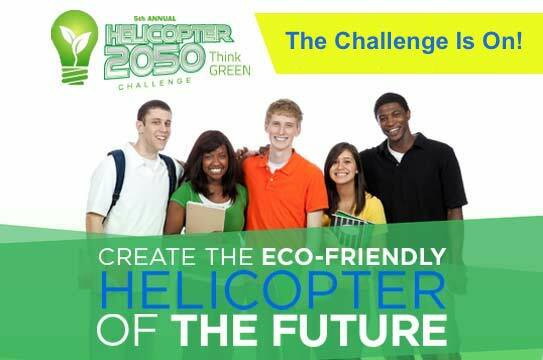 Sikorsky Aircraft, a subsidiary of United Technologies Corp. (NYSE:UTX), has launched the 5th annual Sikorsky Helicopter 2050 Program and Challenge, which asks children, ages 9-16, to create an eco-friendly helicopter of the future that addresses potential challenges of 2050. The national competition kicked off June 1 and will run until October 15, 2015. The winner of the 2015 competition will receive the Igor Sikorsky Youth Innovator Award and a $1,000 scholarship. In addition, the young innovator will be flown to Sikorsky’s headquarters in Stratford, Connecticut, to tour the assembly lines of the iconic BLACK HAWK and SEAHAWK® military helicopters and meet with Sikorsky rotorcraft engineers. The Sikorsky Helicopter 2050 Challenge is a part of Sikorsky’s commitment to encouraging students’ hands-on learning in science, technology, engineering and mathematics (STEM). The program also gives the corporation an opportunity to develop long-term relationships with tomorrow’sengineers. Last year’s winner, Hana Bidon, 17, of West Haven, Connecticut, designed the Skylift Rescue 968 by mimicking the bone structure of birds to develop a lighter and more aerodynamic helicopter. The main body of the aircraft is made out of recycled fiber-composite materials, which use 3D vascular networks to self-heal. As a result, this helicopter repairs cracks with the aid of a technician. Sikorsky co-sponsors this annual Challenge with By Kids For Kids, a Connecticut-based organization, whose educational content inspires kids to become successful inventors. The Challenge honors Sikorsky Aircraft founder Igor Sikorsky who, in 1939, led an engineering team that developed a vertical lift machine with a core design that is still used in a majority of helicopters flying today. Schools, museums and camps throughout the country can use the fun, hands-on activities to help students imagine the environmental future and challenges of helicopters. Teachers, program facilitators, parents and museum staff can sign up at www.helicopter2050.com to download FREE program materials. Sikorsky Aircraft Corp., based in Stratford, Connecticut, is a world leader in helicopter design, manufacture, and service. United Technologies Corp., based in Hartford, Connecticut, provides high-technology systems and services to the building and aerospace industries. To learn more about UTC, visit the website at www.utc.com or follow the company on Twitter: @UTC. By Kids For Kids® (BKFK®) is a platform that empowers youth invention, innovation and entrepreneurship. BKFK promotes youth social innovation and partners with leading corporations to inspire product development, crucial technology skills, invention, and innovation in young people. BKFK provides a unique platform for young people to develop, showcase, and commercialize their products, inventions and entrepreneurship. BKFK’s “cycle of innovation” develops critical 21st Century skills in our nation’s youth. The company provides educational resources, curriculum and challenges that promote social change, product development and entrepreneurial endeavors. For more about BKFK visit www.bkfk.com.